Top Down View On Oblong Shaped Plate With Steak Dinner. Includes Side Servings Of Broccoli, Grilled Potatoes And Grape Tomatoes. Royalty Free Fotografie A Reklamní Fotografie. Image 64474926. 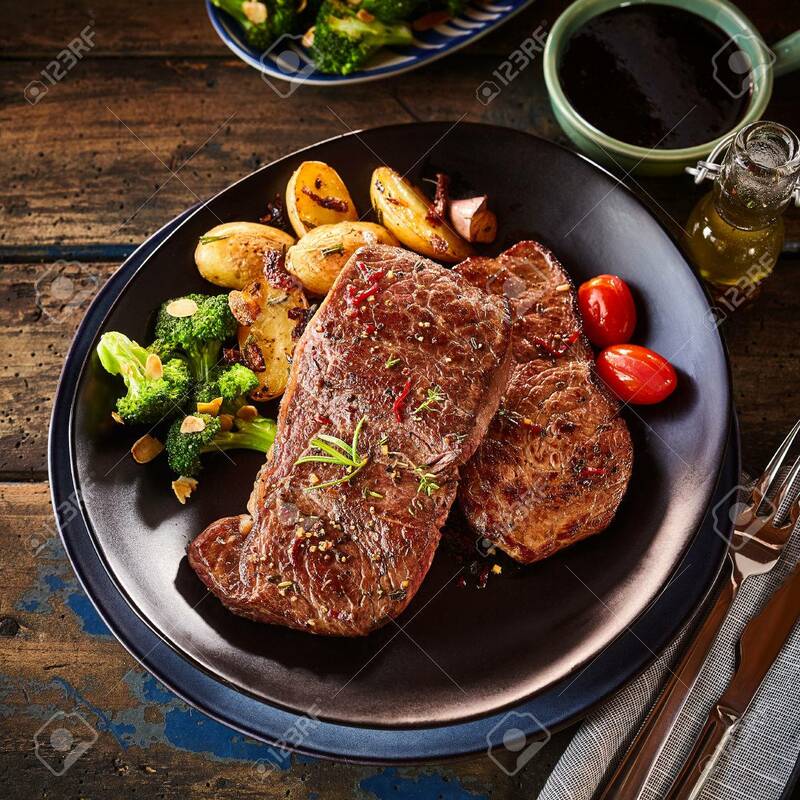 Reklamní fotografie - Top down view on oblong shaped plate with steak dinner. Includes side servings of broccoli, grilled potatoes and grape tomatoes. Top down view on oblong shaped plate with steak dinner. Includes side servings of broccoli, grilled potatoes and grape tomatoes.